Here is a list of books Autism Coach recommends. Click on a book title to order it through our Amazon affiliate program. All Cats Have Asperger Syndrome playfully draws inspiration from the feline world in a way that will strike a chord with all those who are familiar with Asperger Syndrome. Delightful color photographs of cats bring to life familiar characteristics such as sensitive hearing, scampering at the first sign of being stroked, and particular eating habits. Touching, humorous and insightful, this book evokes the difficulties and joys of raising a child who is different and leaves the reader with a sense of the dignity, individuality, and potential of people with AS. This engaging book is an ideal, gentle introduction to the world of AS. A terrific book for all ages. Hardback, 72 pages. Both informative and entertaining, the book addresses an important aspect of social communication for people with Asperger Syndrome, who use direct, precise language and 'take things literally'. This dictionary aims to dispel any confusion that arises from the misinterpretation of language. It provides explanations of over 5000 idiomatic expressions and a useful guide to their politeness level. Each expression is accompanied by a clear explanation of its meaning and when and how it might be used. The expressions are taken from British and American English, with some Australian expressions included as well. This is the definitive book on Asperger's Syndrome by one of the world's foremost experts in Asperger's Syndrome. This book provides a comprehensive overview of Asperger's Syndrome, from childhood through adulthood. Areas covered include diagnosis, social behavior, language, interests and routine, motor clumsiness, cognition, and sensory sensitivity. It also includes an appendix with the diagnostic criteria for Asperger's Syndrome. 223 pages. This workbook has practical exercises to give children and teens with high-functioning autism and Asperger's Syndrome improve their social skills and come to better emotional and intellectual understanding of their disability. My son's speech pathologist at his school found this book to be an invaluable resource and used this book extensively with him. It can be used by parents or professionals alike, providing a wealth of activities to help children understand learning styles, sensory experiences, artistic talent, other people, communication, the school environment, friends, and feelings. In each of these areas, introductory material is addressed to the parent or professional, explaining how they can help structure the child's experience in order to promote understanding and positive interaction. The special binding allows the book to lie flat for easy photocopying. This self-esteem boosting book for kids highlights famous people past and present who would have likely been diagnosed within the autism spectrum. Included are such famous contributors to the arts and sciences as Albert Einstein, Sir Isaac Newton, Lewis Carroll and Hans Christian Anderson. It also includes the brilliant and inspiring scientist and autism spokesperson, Temple Grandin. There are 19 biographies in total, along with a biography of an 8-year old boy in the autism spectrum, named Quinn. This book can be read to children ages 8 and up and read by children ages 12 and up. This is a wonderful book for children within the autism spectrum to read and also to share in school, to help others better understand and appreciate those among us who march to a different drummer. Beautifully illustrated, each person has a portrait on one page, with their biography facing the other page, including a description of their contributions and some of their autistic traits. This book makes you proud to be and/or know someone within the autism spectrum. One might even consider that the potential for genius and innovation that have led to the advancement of civilization lies primarily within those who see things a differently. One might also consider that our society's future may depend upon to what extent we nurture, support, and help to develop the talents of these individuals. Hard cover, 8" x 10", 48 pages. 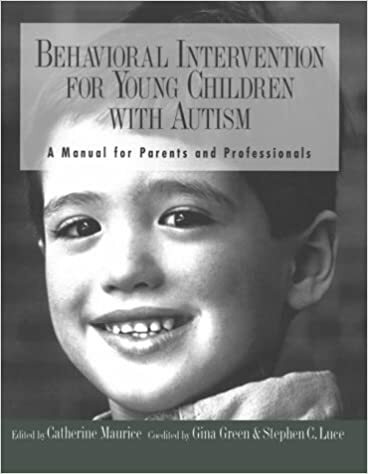 This book provides the nucleus of a do-it-yourself Applied Behavioral Analysis (ABA) program that parents and professionals can use to immediately start implementing an effective intervention program. It includes an invaluable section complete with checklists to evaluate your child's currently level of abilities, followed by an extensive list of exercises that you can carry out to help your child move ahead in targeted areas. The manual gives the reader concrete information on how to assess your child’s skills, needs, and then progress objectively and systematically; teaching your child a wide variety of important skills. These skills range from basics such as listening and looking, to complex language and social skills. This book literally saved my son's life - we actually read and started using this book months before we began an ABA therapy with a trained therapist, when my son was 3 1/2 years old. We used and referred to this book every day for two years. Large paperback format, 400 pages. 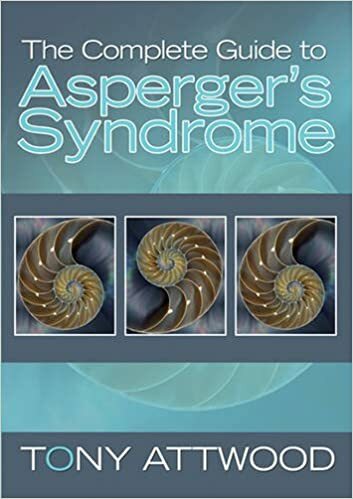 This little gem of a book is intended to be shared by parents or a child with Asperger's Syndrome with friends, family and school professionals and peers so that they may understand Asperger Syndrome. Put in simple but insightful terms, the book explains the behaviors typical of a child with AS, why a child reacts in certain ways, and how to be a good friend to the child. This book could be a very effective tool in establishing understanding and a circle of friends for a child with Asperger's syndrome for ages 6-12. It includes simple but charming illustrations by artist, Jane Tellford, and an excellent list of resources at the end of the book. This book packs a lot of wisdom and information into a small package. 36 pages. This book is written by medical doctor who has a grandchild within the autism spectrum to provide a treatment guide for parents and doctors. 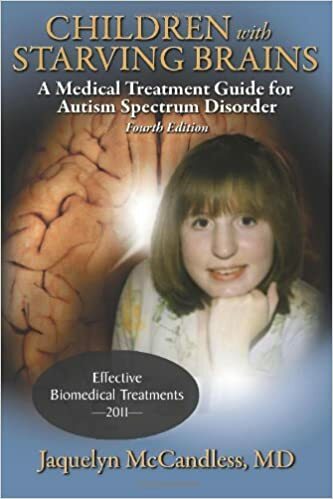 Her approach is based on the theory that Autism Spectrum Disorder (ASD) is a complex biomedical illness resulting in significant brain malnutrition. Dr. McCandless describes diagnostic tools parents and doctors can use to select appropriate treatment options. She explains current therapies and recommends options for parents and their doctors to work together to improve the physical and neurological health of children within the autism spectrum. Essential reading for families and individuals affected by AS as well as teachers, professionals and employers coming in contact with people with AS, this book should be on the bookshelf of anyone who needs to know or is interested in this complex condition. Hardcover, 400 pages. Dyslogical children are commonly labelled as having one or more of a mix of conditions that include Attention Deficit/Hyperactivity Disorder, Conduct Disorder, Bipolar Disorder and Oppositional Defiant Disorder. The number of children who could be described as dyslogical continues to rise sharply, and society has a tendency to lay the blame for this trend on poor parenting or bad schooling. In this ground-breaking book, Bernard Rimland argues that such 'conventional wisdom' is not just mistaken but dangerous. Drawing on the latest research, Rimland outlines the impact of biological factors on today's children and exposes the influences of toxins and dietary deficiencies. Dyslogic Syndrome is full of valuable advice on the safe, effective treatments that are available to children, and offers positive strategies for helping parents and professionals to do the best for their dyslogical child.